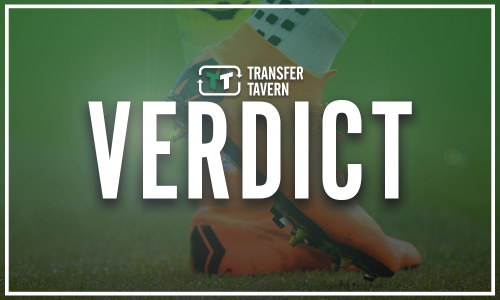 Great news emerges for Rangers and Gerrard ahead of Hibernian clash | The Transfer Tavern | Where football transfer rumours fly or die! Rangers will look to extend their lead at the top of the Scottish Premiership table on Wednesday night when they meet Hibernian at Easter Road. Steven Gerrard’s side could look to go three points clear of Kilmarnock, although with Celtic in action as well, they will want to stay ahead of their Old Firm rivals. And, according to his pre-match press conference via the club’s official Twitter account, it would seem he has some great news heading into the contest. Alfredo Morelos is available for the Light Blues to lead the line as they head to Edinburgh. SG: Morelos will be back available for tomorrow, Rossiter and Katic played in a reserve fixture yesterday. Jamie Murphy is working really hard to make his body as strong as possible, I expect him to come back firing but he won’t be rushed. SG: Dorrans is progressing well also, we hopefully will have him back for the end of January/February. Dorrans and Murphy are two key players for us in the final third of the pitch and we are looking for them to help us in the final half of the season. The Colombian striker has completed his suspension after missing the last two games because of his disciplinary record. Gerrard has also revealed that Graham Dorrans is progressing well and could in contention to make a return to the side in the new year. Nikola Katic and Jordan Rossiter are unlikely to feature as they played in a reserve team game on Monday, although they could still be included in the matchday squad. Having Morelos back available is great news for Gerrard and Rangers as they look to extend their lead at the top of the Scottish Premiership. The Colombian has proved to be one of their most important players on the pitch and has been a reliable source of goals for the Light Blues. The news that Dorrans is also edging closer to a return will be great news for Rangers as well as they look to get a full squad back in order to continue their challenge for domestic honours.